What is Lights On Afterschool? Lights On Afterschool is a yearly event that calls attention to the importance of afterschool programs for America’s children, families and communities. It’s part of the Afterschool Alliance, a nonprofit organization dedicated to ensuring that all children have access to quality, affordable afterschool programs. In America today, 1 in 4 youth — 14.3 million children – are alone and unsupervised after school. Afterschool programs keep kids safe, help working families and inspire learning. They provide opportunities to help young people develop into successful adults. 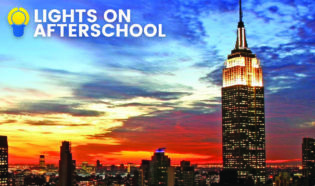 Lights On Afterschool is a celebration of the avenues provided by these afterschool programs. You can help make an impact on the children in your community by organizing or supporting a Lights On Afterschool event in your city. Read on for more information and some ideas on how to make it happen! How do I host a Lights On Afterschool celebration? Adding a theme to your event can strengthen its message and provide it focus. Consider partnering with local community partners who are a natural fit with any of these concepts. Youth voices: The children in your community know more than anyone out there the value provided by afterschool programs and can be your most authentic messengers. Provide children with the chance to speak directly to lawmakers about what afterschool programs mean to them and how to make learning fun. 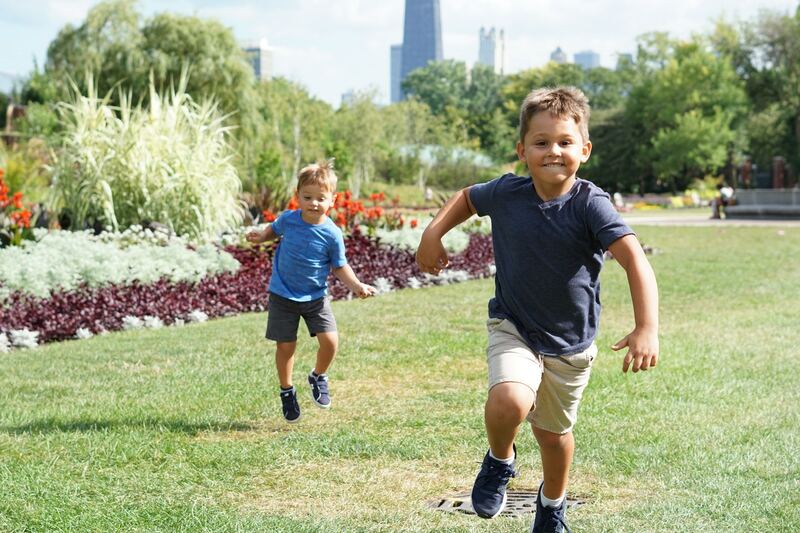 Health and wellness: Afterschool programs can provide nutrition and physical activities that reinforce the value of healthy snacks and meals and fitness as part of the school day. STEM learning: Developing math, science, technology and engineering skills are a natural fit for afterschool programs. Whether it’s building with LEGOs or crafting science experiments, the possibilities are endless for activities that are exciting for students. Library partnerships: Both libraries and afterschool programs provide a safe environment to enrich learning outside of the classroom. Afterschool programs often offer assistance for language learners, homework help and tutoring, and advice for parents seeking creative ideas for their families. Youth organizations: sports teams, school bands, academic and service clubs, volunteers, etc. Include special guest speakers: parents, local elected officials, the superintendent, mayor, a member of Congress, local celebrities, etc. Birmingham, Alabama: A “Lights On Afterschool” celebration was held at Avondale Elementary and Glen Iris Elementary from 3:30-6:00 PM. Events at the different locations showcased wellness programs (including free glucose and blood pressure testing) and demonstrated physical education activities that involved students and parents. City Council members and School Board members, program participants, families, school staff, and community members attended. Birmingham, Alabama: Greystone YMCA Birmingham, Alabama: Afterschool instructors worked with students to paint a mural. Anchorage, Alaska: 21st Century Community Learning Center at Wonder Park Elementary hosted a Lights On Afterschool Carnival with a Literacy Theme. Program participants also enjoyed academic bingo and book giveaways. Elmendorf Air Force Base, Alaska: The Base Commander spoke to youth and parents about the importance of afterschool activities. Afterward, the children read poems, sang songs and danced for participants. A tasting party was also held for parents. Fort Huachuca, Arizona: the School-Age Services program at Fort Huachuca held a spaghetti dinner for families. The event featured face painting, gak making, a computer lab, paper bag puppets, hair spraying, a smoke house from the Fire Department, Army Unit exhibits, popcorn, a cooking activity and more. Los Angeles, California: The Boys & Girls Clubs of East Los Angele,s in collaboration with Rapid Advancement Youth Services, and the City of Montebello, featured a student talent showcase, arts & crafts, games, prizes, exhibits on youth education, employment, and health and safety. Santa Clara, California: The Millikin YMCA hosted an open house. There was a kids verses parents flag football match and light bulb decorating.Organizers provided a healthy snack. San Francisco, California: Savannah Smith, Jump Prep hosted a movie night for Lights On Afterschool at Rosa Parks Elementary School from 6:30 to 8:30 PM. Students, parents and guests wore pajamas, ate popcorn and ate pizza, and watched E.T. The school principal greeted guests and community leaders as they entered. A representative from the school superintendent’s office also attended, along with over 100 students and parents. Blackfoot, Idaho: The program participants at Snake River Community Center celebrated Lights On Afterschool by making a quilt with lightbulb designs. Organizers will later donate the quilt to charity. The event will also include a handmade piñata. Buffalo Grove, Illinois: The Champions School Partnership hosted an event that included a visit to the local library, story time and bookmaking.The children created their own books to take home and share with their families. Afton, Iowa: East Union and Murray Afterschool Programs celebrated from 6:00-8:00 PM, with a family pancake supper. The event had a nighttime theme, and students dressed in pajamas. Partnering organizations put up booths with a variety of family-oriented activities that focused on nocturnal animals, stargazing and other nighttime topics. The event also included a fire safety demonstration from the fire department, story time with the principal, and door prizes. It was open to the community, with approximately 200 people in attendance. Louisville: Berrytown Family YMCA, from 4:30-6:00 PM with an open house. Lights On Afterschool light bulbs decorated the facility, and the event included a showcase of student work. The youth served as ambassadors for the evening, giving tours of the afterschool facility and speaking on the importance of afterschool programs. Organizers provided refreshments. Monroe, North Carolina: Benton Heights Elementary School hosted a community Lights On Afterschool open house. Children performed “Don’t Stop Never Give Up.” Students, family, staff, and community members were invited. Portland, Oregon: Schools Uniting Neighborhoods hosted “Pumpkin Lights On” in the gym at Shaver Elementary School for Lights On Afterschool from 6:00-8:00 PM. Activities included pumpkin decorating, gourd bowling, a cake walk, face painting, and glass blowing. Organizers held a bake sale with proceeds going to the Parent Association. The event was open to program participants, families and staff and more than 300 people attended. Pawtucket, Rhode Island: In honor of Lights On Afterschool, Kids Club hosted an open house and potluck dinner with parents, school administrators, and town council members. Ellsworth Air Force Base, South Dakota: The Ellsworth School Age Program provided an open house with refreshments made by the children. Parents and children participated in volleyball games, relay races, and crafts. Children organized two projects to take to Veteran’s hospital the following week. South Londonderry, Vermont: The Collaborative held a Harvest Festival for Lights On Afterschool. The event featured a chili and apple-pie making contest, scarecrow making, pumpkin decorating, dancing, music, and games. Organizers read a letter from Senator Bernie Sanders. The event was open to the community and more than 230 people attended. Find more event ideas here. The yearly Lights On Afterschool celebration will take place in October. Start working today to create an impactful celebration in your local community and sponsor an event in your town next year!